A quick update on my first woodworking project - I'm quite excited that it actually looks like a box now, and isn't a million miles away from the picture on the project plans. 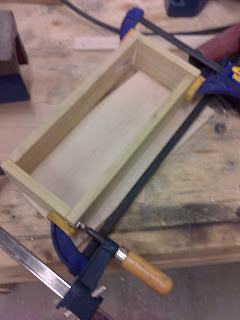 Here is the box after gluing and with the lid positioned. 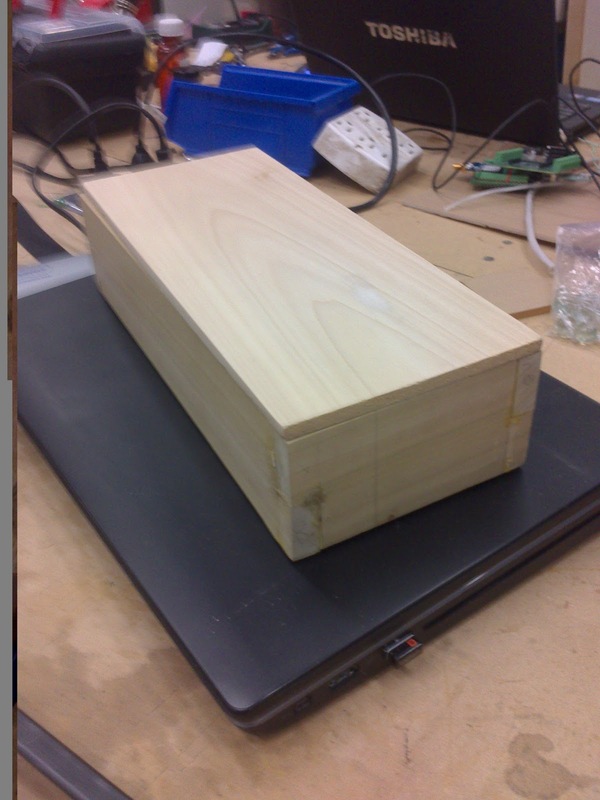 It still has to sanded, finished, nailed and a handle cut into the lid, but it has taken me about 10 hours just to get to this point!